Ally Scraps: GLITZ "Sublime" collection is here!! 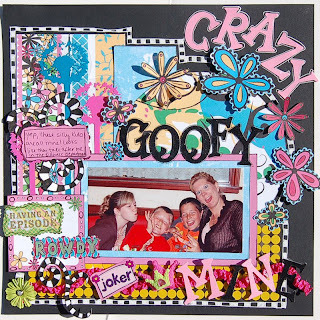 I just got it and have had the most fun creating a funky layout "CRAZY GOOFY MINE"--I handcut the flowers from the "Doodly Floral" papers and layered them with pop dots onto the "Splatter"
Have a little fun with this collection!! I guarantee you will love it!! what a fun fantastic page kary. great use of the glitz! WOW Kary - such a great job with those papers. Love your carefree style!